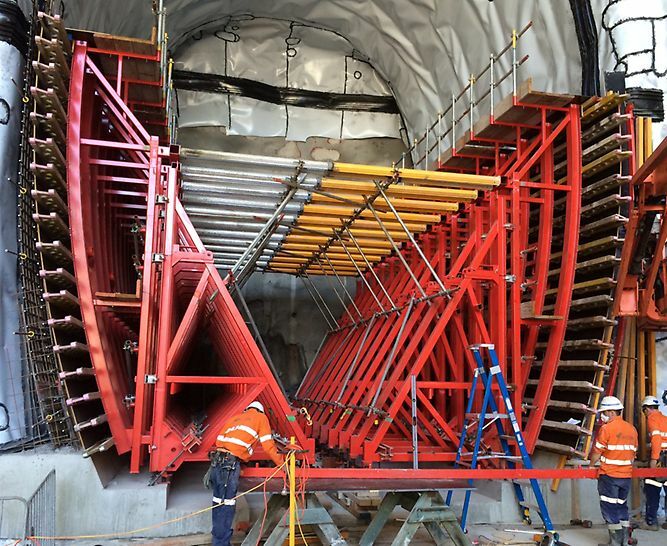 The $8.3billion North West Rail Link project is the longest transport tunnelling project in Australia’s history and is expected to be complete by 2019. 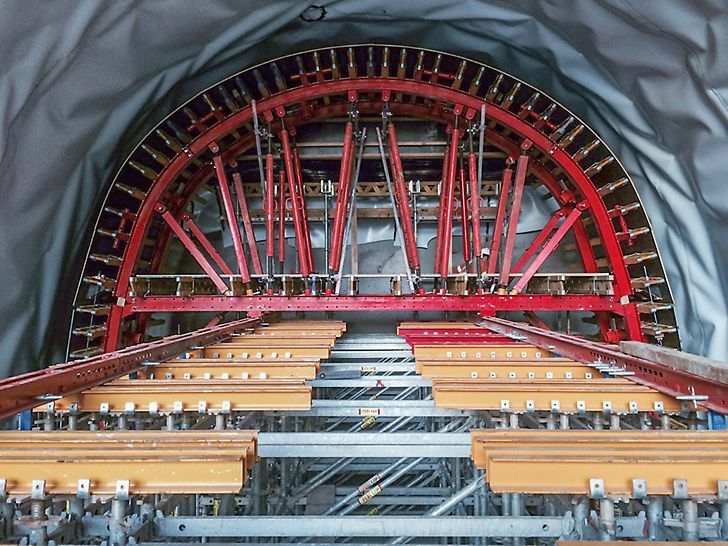 The 15 km long twin tunnels are being constructed to connect Sydney’s northwest suburbs to the city for the very first time. The cavern terminates with a headwall where it connects to two smaller bored tunnels. 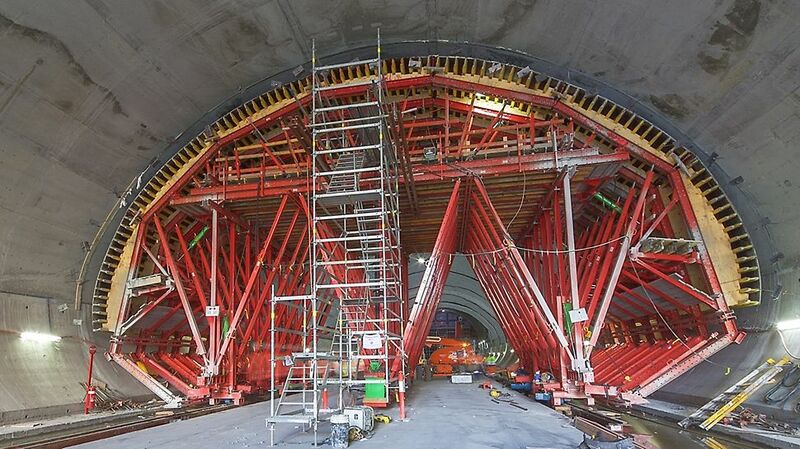 The 500 mm thick cavern lining is reinforced up to the construction joint above the lower wall, at the widest part of the cavern. The walls and crown lining above this level are unreinforced. Quick setup, and moving of the entire assembly using the Variokit traveller. The assistance provided by PERI in coordinating the design requirements, the methodology and subcontractor suggestions, was integral to the success of the project. When assembled onsite the mechanical nature of the form removed many manual handling and work at height risks, whilst the drive units allowed the unit to be propelled in a safe and timely manner, allowing further safety and program improvements. 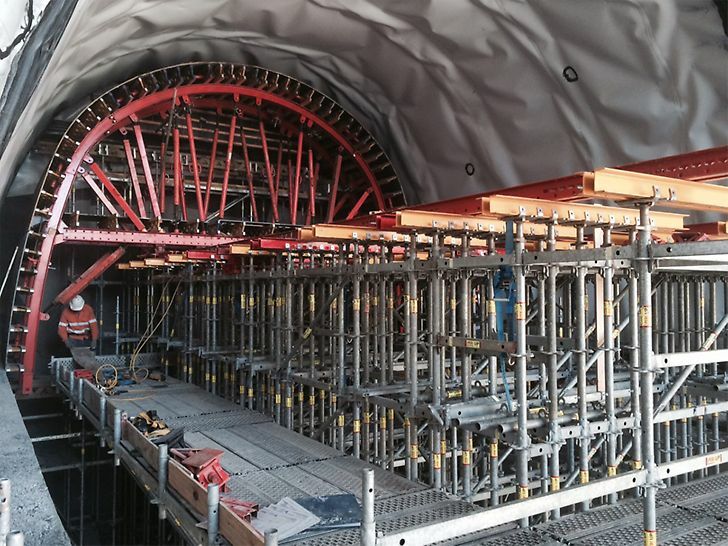 PERI SB single sided brace frames and special Wall formwork for the lower cavern walls, above the invert. 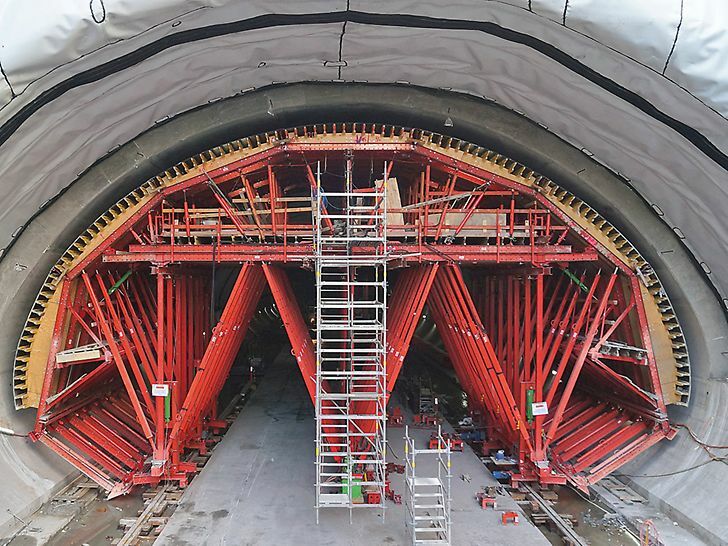 PERI VARIOKIT formwork for the upper crown lining in the standard and enlarged cavern sections. The combination of PERI SB, TRIO, VARIOKIT and Rosett systems for the headwall. Specially fabricated components for the entire system.